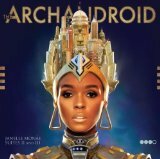 The best album by Janelle Monáe is The ArchAndroid which is ranked number 533 in the overall greatest album chart with a total rank score of 4,978. Janelle Monáe is ranked number 348 in the overall artist rankings with a total rank score of 7,529. Members who like this artist also like: Beach House, Arcade Fire and LCD Soundsystem. RARE ADVANCE PROMO Of Montreal CD False Priest SOLANGE Janelle Monae pearl jam ! 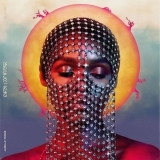 This may not be a complete discography for Janelle Monáe. This listing only shows those albums by this artist that appear in at least one chart on this site. If an album is 'missing' that you think deserves to be here, you can include it in your own chart from the My Charts page! Showing latest 5 ratings for this artist. | Show all 38 ratings for this artist. Always takes chances with her music and delivers greatness each time out. Agreed with comment below that she will be remembered as one of the defining artists of her generation. She needs to work with Big Boi again. He brings out the best in her. One of the most interesting artists in music right now, she will be seen as an icon of the 2010s in the eyes of many music lovers. I LOVE the funky fun of The Electric Lady. This chick is funky. On "archandroid" she's written a lot of complex tunes for the r&b world and made most of them highly catchy. She has a great ear for music and her strange personae only amplifies the album's funkiness. It's obvious why big boi put her on his album -- they have similar quality taste in pop music.